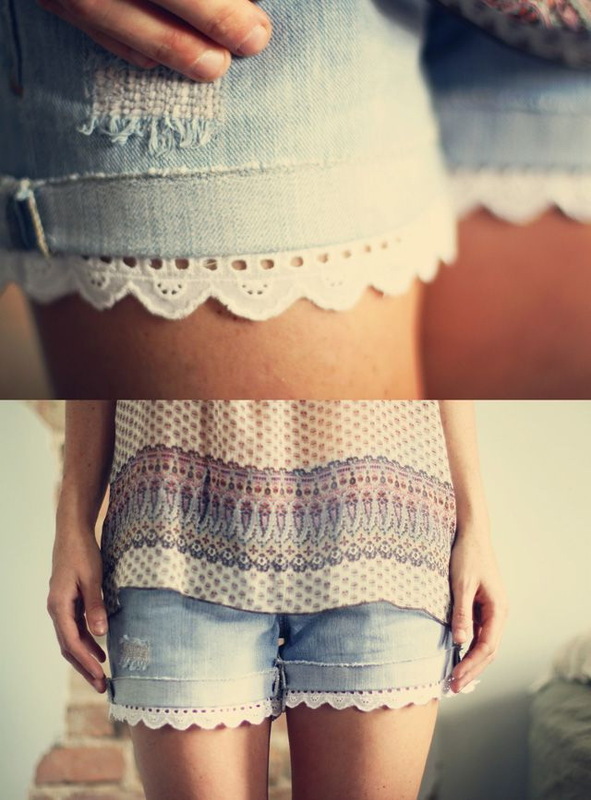 If there is denim piece that will ideally work for hot summer days and warm spring months, then it’s jean shorts. In today’s blog post I want to share with you fresh outfit ideas with denim shorts. No matter what kind of wash, cut or fit you choose, denim shorts will always be in your wardrobe. You can wear these denim bottoms to the beach, casual walks on the town, as well as to summer parties and all kinds of meetings. Forget about casual tops and flip-flops, it’s time to pair denim bottoms with sophisticated blouses, smart casual blazers, printed shirts and fancy heels that will instantly elevate your look. I’ve got some really nice styles for you to try on this hot season, all you need is to scroll down to see a fresh inspirational street style collection. You are more than welcome to see my favorite and fresh outfit ideas. A sweet-looking printed off-shoulder long-sleeve top is styled with denim shorts and suede beige stiletto heeled sandals.